Over the weekend I was talking to a friend about her new personal trainer. Since it's January, and we are both carrying extra baby weight, we've both amped up our weight loss efforts. As she was telling me about her training I got super excited and was envisioning future training sessions with her as our children peacefully napped! No matter how much I focus on exercising, my weight issues have more to do with my eating habits, as is true for most people. So I began to rethink my strategy. For some it is inactivity, such as having a desk job and going from bed to car to desk to car to couch. For some it's large portions. Sodas, sweets, fast food, all these individually or combined can be your weight loss nemesis. Lack of time to work out or prepare healthy meals is also a factor. 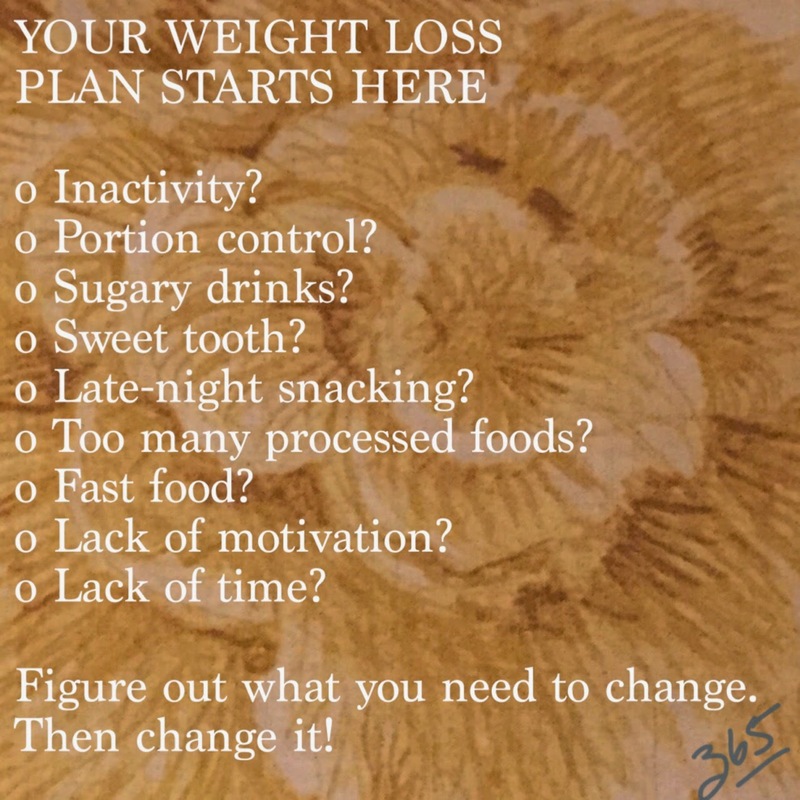 There is a ton of information out there on what to eat, and what to do to help you lose weight. But adopting a lot of rules can be overwhelming. It's better to adopt certain changes that focus on a few key things. There is no easy answer here! You are going to have to find your weakness, and then attack it! Make a food journal for a week. It doesn't need to have calories. Just a list of what you eat, including portions, during the day along with when you eat it. If you start paying attention, you may notice that bad eating habits are related to certain patterns in your day or week. Just by writing what you eat down, you are already paying attention to what you are putting in your body, and this recognition is so important! You may find that a few small tweaks may be all you need! Inherently, we should all know what is good and what is bad (vegetables good! cupcakes bad!) It's all about maximizing the good and minimizing the bad. Remember, all in moderation!